Note: For those interested in liposuction and fat transfer procedures, Dr. Miller offers those services at a separate San Antonio Liposuction facility. At After Hours Aesthetics in San Antonio, TX, Dr. Quintessa Miller is a local favorite for expert cosmetic surgery and body contouring services, performed with caring dedication and backed by a woman's cosmetic perspective. Dr. Miller is a well-respected, San Antonio plastic surgeon who's double-board certified by the American Board of Surgery and the American Board of Plastic Surgery. At her current practice near the Huebner Medical Center, Dr. Miller treats plastic surgery patients from San Antonio, Shavano Park, Leon Valley, Hill Country Village and Alamo Heights! 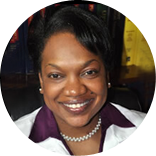 After completing her Bachelor's Degree at the Colorado Springs Air Force Academy, Dr. Miller completed her medical degree at Georgia's Morehouse School of Medicine. While earning her medical degree, and during her surgical residencies at Keesler AFB, Wright State University and LSU, Dr. Miller was awarded on numerous occasions for her expertise in medical and scientific research. Specializing in body contouring and breast surgery in San Antonio, Dr. Miller has focused much of her medical career on helping breast enhancement patients achieve their ideal physique, comfortably and safely. Dr. Miller's most requested procedures near Castle Hills, Shavano Park, Alamo Heights and San Antonio include Breast Augmentation, Breast Lifts, Breast Reduction, Tummy Tucks and Liposuction. Patients appreciate Dr. Miller's usage of the latest body contouring surgery techniques, as well as her patient benefits like free consultations for San Antonio plastic surgery patients, and financing options through Care Credit and Chase Health Advantage! Furthermore, Dr. Miller makes herself available to San Antonio breast augmentation and cosmetic surgery patients on evenings, weekends and holidays! Contact us today to schedule your free consultation for plastic surgery in San Antonio, TX, with Dr. Quintessa Miller. Dr. Quintessa Miller offers Complimentary Consultations. Free consultations at After Hours Aesthetics typically last one hour. During this time, patients will meet one-on-one with Dr. Miller to discuss their plastic surgery interests and concerns in great detail. Dr. Miller may also perform a physical exam to better understand and evaluate the patient's treatment options and needs. After the consultation, Dr. Miller's office manager will contact the patient to cover any further questions or to address patient financing before planning for the surgery. Dr. Miller has received multiple awards for medical excellence and research skills—including the Surgeon General's Award for Best Scientific Paper in Plastic Surgery. Dr. Miller offers unique availability to her San Antonio plastic surgery patients: in the evenings, on weekends, and even on holidays! Dr. Miller is a regular presenter at surgical symposiums; discussing subjects like bilateral breast reconstruction and wound healing. Her research has also been published in numerous surgical journals and periodicals. Dr. Miller demonstrates an impressive amount of dedication to the personal and successful treatment of her plastic surgery patients, and a marked passion for continued education and surgical proficiency.